One of the original counties of the Province of New York created by law November 1, 1683. Mother of many counties. Location. 42° 26.255′ N, 74° 1.047′ W. Marker is in Westerlo, New York, in Albany County. Marker is on New York State Route 32, on the left when traveling south. Touch for map. At the county line. Marker is in this post office area: Westerlo NY 12193, United States of America. Touch for directions. Other nearby markers. At least 8 other markers are within 4 miles of this marker, measured as the crow flies. First School (approx. 0.9 miles away); Benjamin Spees (approx. one mile away); Talmage-Atwater (approx. 1.2 miles away); Edwin L. Drake (approx. 1½ miles away); Greenville (approx. 1½ miles away); Grist Mill (approx. 2 miles away); Early Doctor (approx. 3.3 miles away); Early Sawmill (approx. 4.1 miles away). 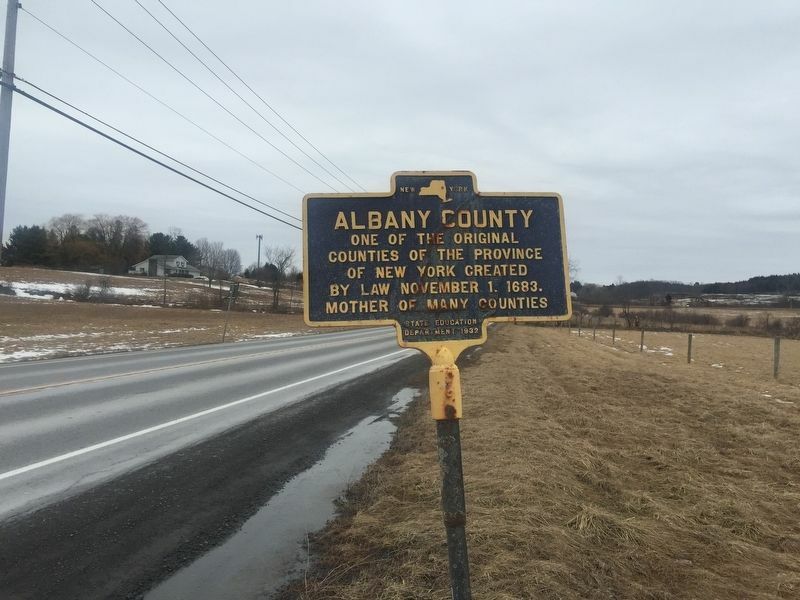 Regarding Albany County. Albany was named after the Duke of Albany (James II of England). It initially consisted of all of New York north of Duchess and Ulster Counties. More. Search the internet for Albany County. Credits. This page was last revised on March 6, 2019. This page originally submitted on March 2, 2019, by Steve Stoessel of Niskayuna, New York. This page has been viewed 88 times since then. Last updated on March 5, 2019, by Steve Stoessel of Niskayuna, New York. 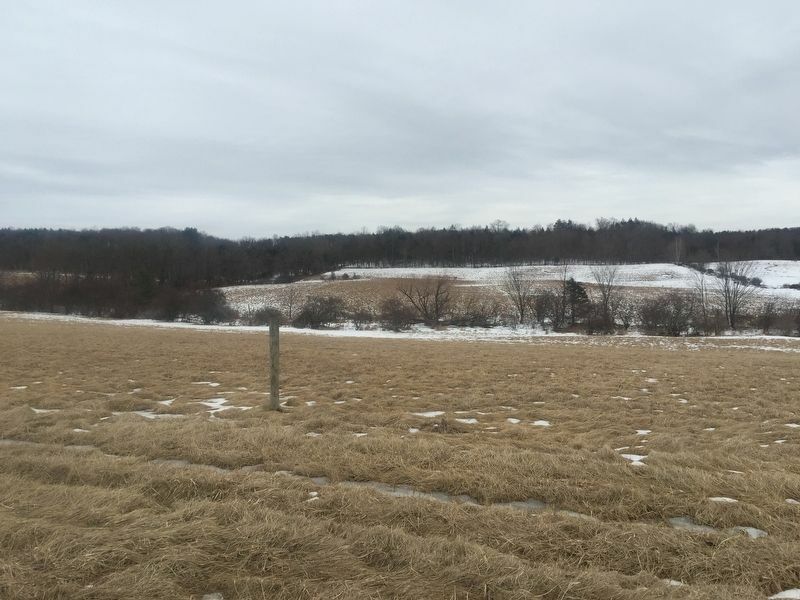 Photos: 1, 2. submitted on March 2, 2019, by Steve Stoessel of Niskayuna, New York. • Andrew Ruppenstein was the editor who published this page.